Here is an opportunity to get to know my background to assist you in your decision come election day - Saturday September 13th. After observing and engaging with politicians for many years certain attributes stand out for those who make a difference. They have a purpose from which flows policy which delivers programmes for the public good. I believe my recorded civic services hereunder displays a person with such purpose to form good policy and consequential public benefit programmes. Liverpool over the years had some fine politicians who placed people before Party. In East Liverpool we had Don Syme and Ron Hollands representing us on Liverpool City Council with a real sense of purpose beyond self-serving. 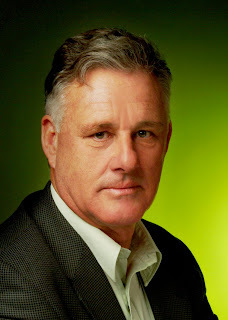 Casey Conway from the Valley was a genuine politician who served with real purpose and was capable of acting in the interest of Liverpool citizens before his Labor Party's interest. I am well recorded as being a supporter of Mark Latham. He was a conviction politician who played the game hard ( too hard for some) but he got done what he saw to be in the public interest. Mark won the first Popularly Elected Mayor vote held in 1991 after I had led the East Ward Progress Association campaign from 1986 for the people to have the right to vote directly for their Mayor rather than it being an annual "circus" involving all Councillors. In 2002 I decided to attain the Surf Life Saving Bronze Medallion at Garie Beach in the Royal National Park. It was something I always wanted to do. It gave me a purpose to get fitter ( do you know that with a desire and by making right choices and commitment you can regain the fitness of youth? I am not there but I am much fitter and well.). It was also a good excuse to go the beach more regularly. In 2007 the stalwart President of Garie Surf Life Saving Club, the late Alf Taylor, took gravely ill and I was asked by Alf to take on the Presidency. Another source of a 1000 stories. This was done with the sole purpose of raising attention to the Oasis debacle in which Liverpool Council was still proceeding, after the exposure of the Council mishandling ratepayer funds to the tune of $20 million.Much damage was done to ratepayer interests in this delayed time before the Inquiry was initiated later in 2003. Over this time Liverpool City Council, with 2008 Mayoral Candidate Wendy Waller as Finance Committee Chairman, made a desperate act. They signed over development rights of its valuable CBD assets solely to Macquarie Bank whose actions were described as "opportunistic" and "predatory"( Public Inquiry findings). This latter event happened with full knowledge of the Premier's Department. In 2007 the Administrator approved payment of fees and a payout of over $1 million to extract Liverpool citizens from this arrangement. This is after Liverpool City Council, with Wendy Waller as Finance Committee Chairman, paid the Bulldogs Football Club over $660,000 to terminate the Oasis agreement. They were the people who spent our money on huge salaries and fees for themselves and sly payments to Bulldog players. And we as ratepayers are left with a $22 million hole in our budget with a concrete slab to show for it. As Liverpool City Council resorted to unpublicised, secret, closed meetings to manage the key decisions on Oasis, Michael participated in any forum he could to seek to publicise the shortcomings and associated risks of the Oasis project. Michael was ejected ( escorted to the door) by Council from its December 12th 2001 meeting after he politely sought to speak to a Budget Review Submission before Council concerning the transfer of $15 million to the Oasis project. Within 12 months Oasis was in ruins with the $15 million of funds placed, without adequate oversight, into an entity controlled by Canterbury Bulldog officials. Liverpool ratepayers got themselves a concrete slab. Michael provided an extensive submission to the Public Inquiry that led to the sacking of the Council over their handling of Oasis. Michael brought together Liverpool City Council (Boat Shed), Patrician Bros. Boys High Liverpool (8 pacer Sailing Dinghies) and Members of the public with sailing experience. It was in this capacity Michael attained the first glimpse of Oasis like behaviour by Liverpool City Council under Mayor George Paciullo. A submission to the ICAC on non-disclosure of personal interest by the then General Manager and Council's failure to act on it in 1999 was rejected as not requiring investigation. If only they had done their job. A testing the waters exercise under the preferential voting method as opposed to the independent friendly proportional method which would have seen him elected with excess quota. The hard hitting election pamphlet drew a a good voter response ( 28%) , and drew severe resentment from the Labor Party in Liverpool.